So I’ve used many a Nexus device in my time, starting with the Nexus S and through every Nexus after that. I’ve had a serious love/hate relationship with Google’s flagship Android device. 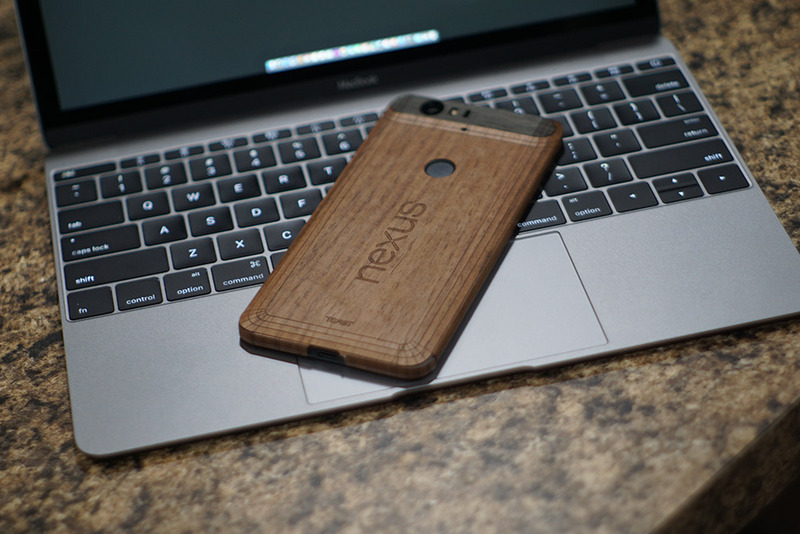 The Nexus 5 has to be my pick for best Nexus prior to this current crop of Nexus devices. I wanted to love last year’s Motorola Nexus 6 and I tried very hard to do that, but it failed to meet what I expected and wanted from Google’s flagship phone. This year there are two Nexus devices, the Nexus 5X made by LG and the Nexus 6P made by Huawei. The 5X is a more budget friendly offering while the 6P is Google’s flagship Nexus offering and this is the Nexus 6P review. *Special note: The Nexus 6P below is skinned with a Toast cover, the actual unit was the graphite version. Apple’s iPhone has always been praised and touted as a leader in smartphone design and for good reason, the iPhone is a beautiful phone. I knocked the iPhone 6 and 6s design because I don’t believe Apple tried hard enough this time around but the phone still remains one of the best designed and built phones on the market. In contrast, most of the Nexus devices of old have never been able to compete with Apple’s design and build quality. That was then, this is now. The Nexus 6P design is nothing short of spectacular. I admit when I saw early renderings of the device with its camera hump I was very skeptical as to just how nice it would look. The leaked photos and renders showed a horribly disfigured phone that brought visions of Quasimodo, oh how the people would ridicule it. Upon opening the box and pulling the phone out, the first thing I did after tearing the protective plastic off was turn it around. I had to see it, I had to see that hump… just how horrible was it? Not horrid at all, but designed nicely into the chassis with wonderfully flowing lines that rival those of the iPhone in any of its incarnations. The all aluminum chassis and glass is elegant and flows seamlessly like a wonderful dance of elements that were meant to just be. My unit had one minor flaw on the back left near the bottom where one of the seams didn’t seem to fit properly. From what I can tell there have only been a handful of people reporting this so it’s not a huge deal. Other than that the Nexus 6P is the best looking smartphone of 2015 and Huawei has finally designed the Nexus that should have been years ago. The 5.7″ WQHD (2560×1440) AMOLED display packs in 518ppi and is protected by Gorilla Glass 4 along with an oleophobic coating for fingerprint and smudge resistance is absolutely amazing. Being an AMOLED screen and not an IPS one like the iPhone, the displays on both phones are very different but both are great. The Nexus 6P screen places more emphasize on color pop where colors are deeper and richer than the iPhone. Blacks are crisp as are the whites and the screen is by far one of the best on the market. The 6P screen holds the same resolution as the Moto X Pure with just a slightly lower PPI but the 6P beats out the Pure’s QHD screen ever so slightly. Video, photos, text, everything looks amazing on this screen and sitting in at 5.7″, just slightly smaller than the Moto Nexus 6, it falls right into optimal size (for my liking) of 5.5″-5.7″. I personally think the added .2″ on the Nexus 6 was just a bit too much. Overall this screen beats out the iPhone handily as well as the Moto X Pure and Samsung Galaxy Note 5. 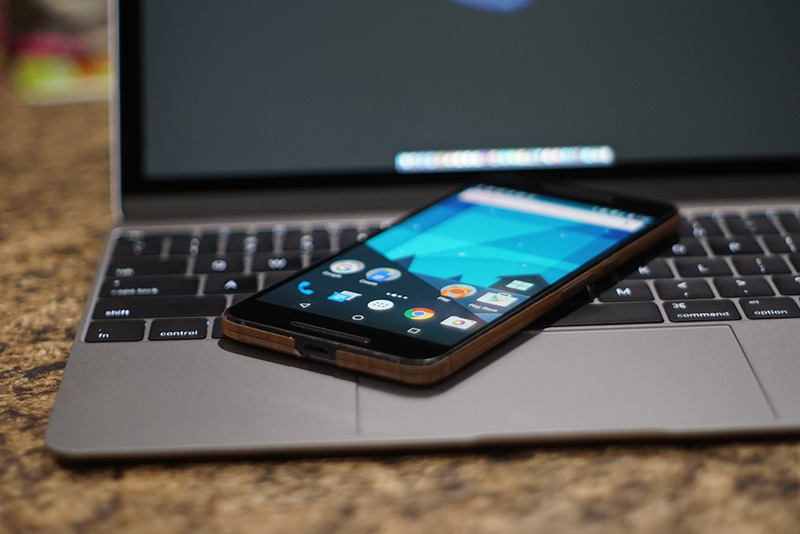 I’ve had my struggles with the Nexus family of phones over the years and I’ve also had a struggle with that same Nexus family’s operating system, Android. Google has seriously improved Android over the years and Lollipop was a good improvement but not exactly the best iteration of the OS. My review of the Moto X Pure pointed out that I actually enjoyed the Pure more than the Nexus 6 due to Moto’s added software features that made the phone more useful, IMO. The Nexus 6P is my first experience with Android 6.0 Marshmallow and Google has not only impressed with hardware but software as well. Marshmallow feels much faster, smoother, snappier and overall just better optimized than any other version of Android I’ve used. Gone is the lag and stuttering of the old Android replaced by what can only be said to be Google’s stab at the heart of iOS. Google Now is unquestionably superior to Siri in every way, the fingerprint scanner (a first for a Nexus device) is amazingly fast, just as fast as TouchID on the iPhone. 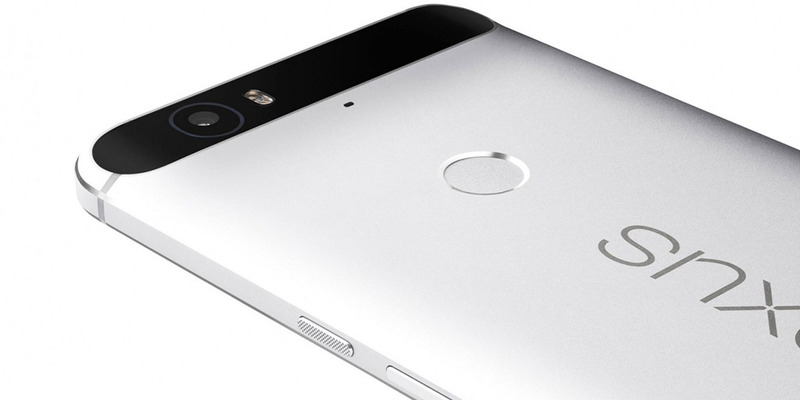 One area of the fingerprint scanner the Nexus 6P has an advantage over the iPhone is you can unlock the phone without having to actually press a button. Simply place your finger on the scanner and the device pops open quickly and fast. It’s dead accurate as well, I found myself maybe once or twice having to adjust my finger but it was rare. Marshmallow also brings with it a host of useful features like Now On Tap, better security, smarter battery management and improved Bluetooth performance. Android 6.0 is by far the best release of Android I’ve seen and I’m happy to see it. The one area of Marshmallow I’m not in love with is Material Design, that’s an aesthetic and personal thing though, it’s not everyone’s cup of tea. 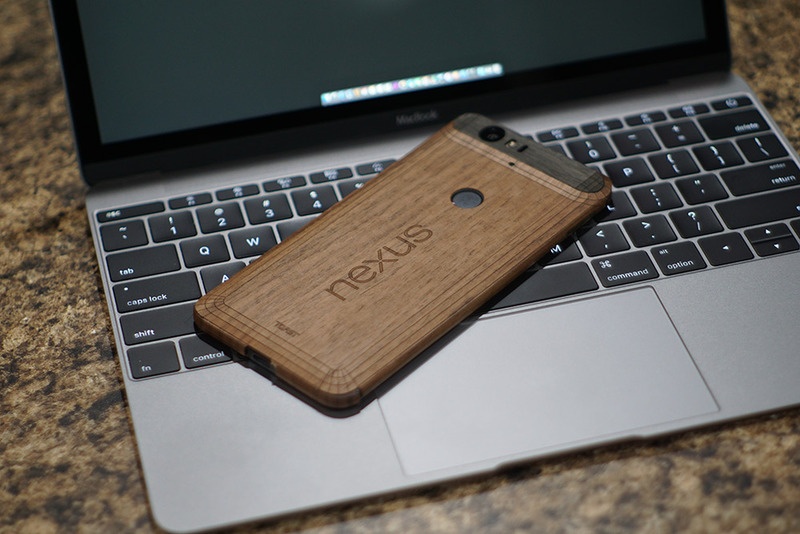 This Nexus 6P skinned with Toast cover. Rocking an Octa-Core Qualcomm Snapdragon 810 v2.1 CPU clocked at 2.0 GHz, and 3GB of LPDDR4 RAM, the 6P blazes through anything you throw at it. Gaming, movies, multitasking – you name it, this phone can handle it. Unlike the Moto X Pure, I didn’t experience as much heat with the 6P and I haven’t had to reboot but maybe once, which is a problem I’ve always had with Android – random reboots and having to reboot to get apps running properly. A balance of software and hardware performance seems to have finally been achieved with the 6P. This is the best Android experience thus far from any Android phone I’ve ever used, and I’ve used a lot of them. Front facing speakers are nearly a must these days, the iPhone doesn’t have them, the Note 5 doesn’t have them. The Moto X Pure has them and those sounded great, the Nexus 6P also has them and they sound just as good. Bottom firing speakers aren’t awful, they’re at least better than rear firing but hopefully more phone makers will see the value if front facing speakers. The rear 12MP camera and front 8MP camera are best in flagship device class. After taking pictures with the iPhone 6s Plus alongside with the Nexus 6P, the 6P beats the iPhone 6s Plus camera ever so slightly. Colors are just slightly more vibrant and the camera does better in low light, it’s amazing in low light. The front facing camera is crisp and clean, I’ve never seen a front facing camera this good, by far the best front facer on the market. Right now the 6P camera is the one to beat. The iPhone is very close to the 6P but it also comes down to personal preference in what you like your photos to look like. In the end, most flagship phone cameras are going to meet most everyone’s needs. Of course the camera does 4K video as well as 1080P, just be careful, that 4K does eat up some space. No problems with call quality as calls were loud and clear without noise, echoes or any interference. Calls on speaker were very good as well. With the battery life improvements of Marshmallow’s new Doze feature, the Nexus 6P is one of the best Android phones I’ve used in terms of battery life. The 3450mAh battery got me through my 17 hour day without any issue. I generally unplug at 5am and plug back in at 10pm and end up somewhere around 20-30% battery left. That’s generally what my iPhone 6s Plus is at near the end of the day so for me, battery life was on par with iOS. Your mileage will vary depending on how you use your phone. The Nexus 6P comes in 32/64 and 128GB configurations with no external storage options. Starting at $499 and maxing out at $649, the Nexus 6P is priced right for a flagship device, priced right below the iPhone, but easily better than the iPhone in many ways. It’s definitely well worth the money you’re paying for this device. The sub-title of this review is “Quite Possibly The Best Smartphone Of 2015,” I’m convinced this is the best smartphone of 2015. Google and Huawei teamed up to finally create a phone that meets Apple head on, pulls no punches, and is attempting to push the Apple iPhone off the podium. If you’re looking at Android for the first time, or if you haven’t looked at Android in a long time, this is the Android phone you need to buy, period. Build quality, design, optimized Android software without unneeded software… it’s been a long time coming but I can finally say. This is what Nexus should have been all along. Design is simple, elegant and flows. Premium build quality. Android Marshmallow is the best Android experience yet. Camera is killer. The only flaw in the phone was the small flaw in the build near the bottom of the phone. This has only been reported by a handful of people. 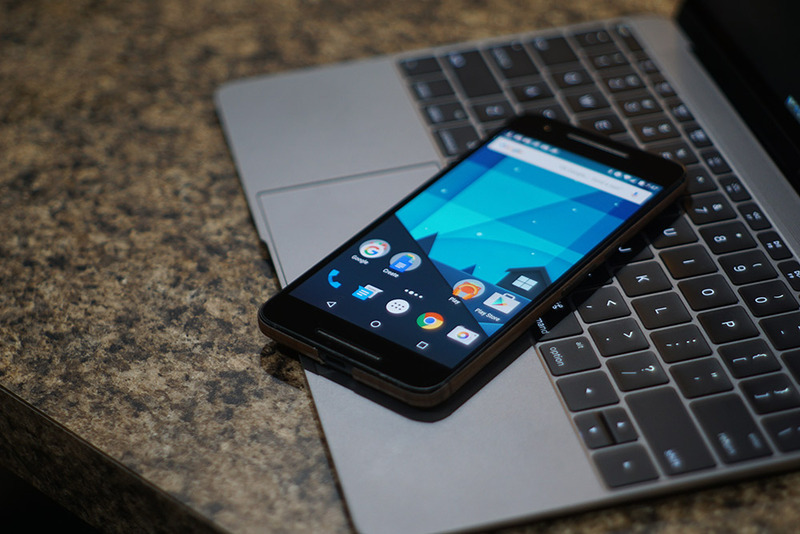 *We reviewed a retail version of the Huwaei Nexus 6P purchased by the reviewer.